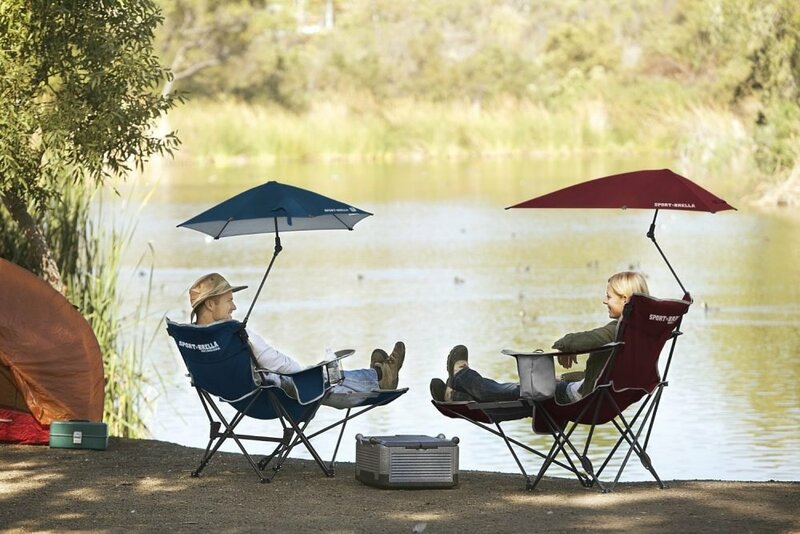 A good camping chair won’t only keep you out of the dirt and sand. It needs to be comfortable to sit in, light to carry, and easy to stow away. We shopped around and found these unique chairs that also have cup holders and features like their own built-in cooler or footrest. 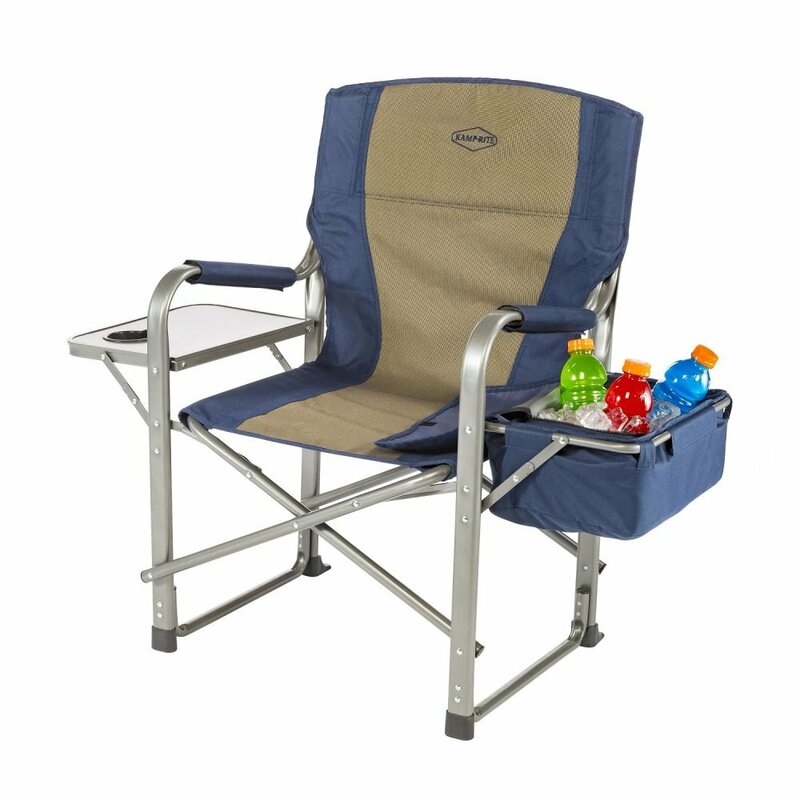 Kamp-Rite folding chair. Photo via Amazon. 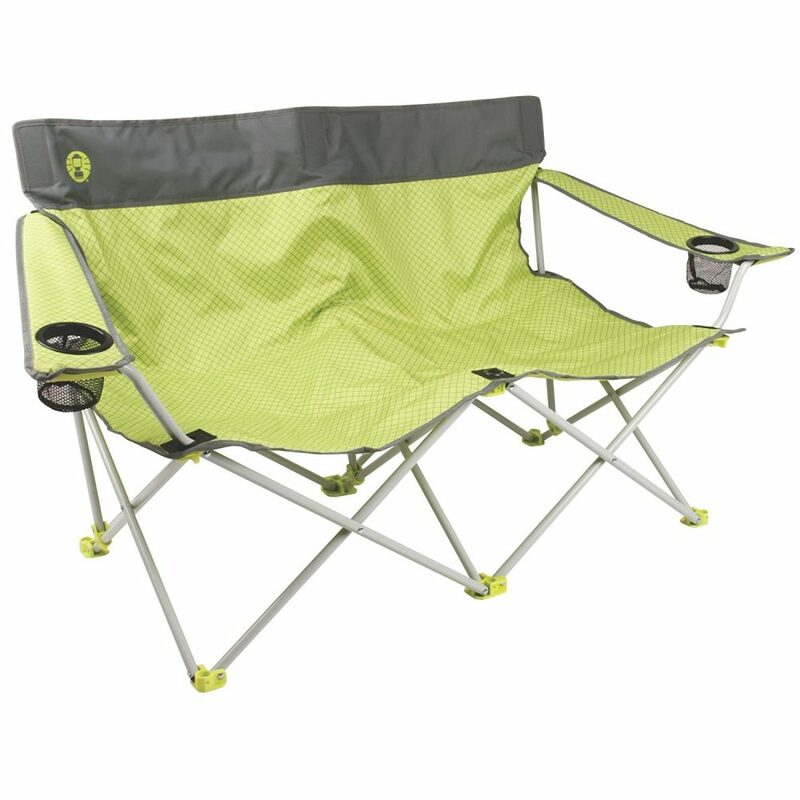 Coleman Double Quad Chair. Photo via Amazon. The Yizi Go chair. Photo via Amazon. The Yizi Go Chairs can be adjusted in height and seat anyone in the family. They’re compact enough to even fit in most backpacks and carry-on luggage. You missed one. The Ozark trail chairs. Firm, comfortable and reasonably priced. I beg to differ. The Rockler rocking chair is the best. It works on any surface because it doesn’t use traditional rocker bottoms. The mechanism is hinged with hydraulics to provide the rocking motion. The “Strongback Chair” is designed by a Physician and is the most comfortable and supportive bag chair we have ever used (and we have used them for years!). The lower back support is amazing. Agreed, worth the extra money spent. ABSOLUTELY!! We purchased two of his chairs just as he started his business and several more since then as his designs evolved. You will never find a another chair so comfortable for your back!! 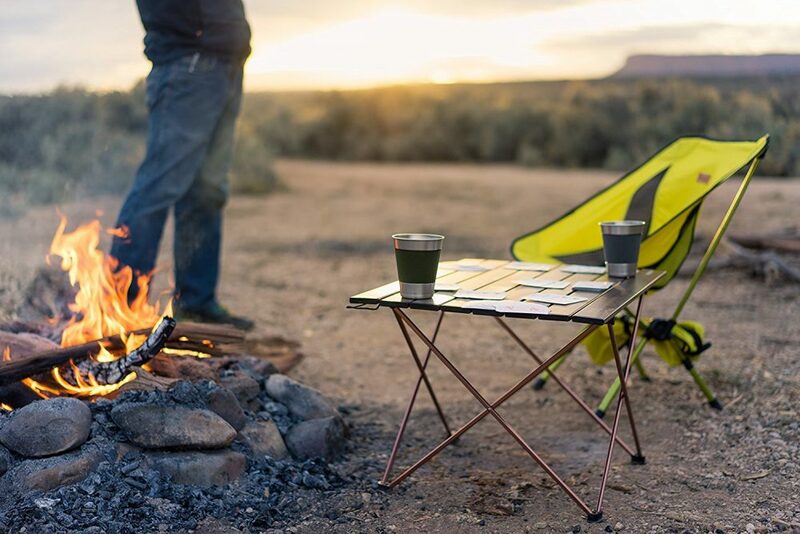 The article is typical of the current state of materials used in the camping chair business for the most part. There is a huge demand for a comfortable standard stuff sack, high back made of round aluminum tube. That would get the weight down to where an aging population would be able to utilize the chair. But no, they still accept the HEAVY Chinese cheap steel steel tube construction. 1. Have made a typical sack stuff high back chair, made from aluminum round tubing. 2. Use high quality rivets at pivot points. 3. Use high quality 600D nylon fabric. 4. Use high quality plastic feet, etc, for all contact points. 5. Include drink holders in each fabric arm, to accommodate right and left handed users. 6. Make the chair back higher than those cheap uncomfortable ones sold at China Mart, they are catering to a different market.You do this, and market it correctly, touting the extreme lightweight, quality 600D fabric, you will sell thousands and thousands of em. But, you won’t, why do I know this, because I own this very chair, bought 15 yrs ago and it’s literally falling apart now after 15 yrs of use. Seems the geniuses in the chair business aren’t that smart after all. P.S. that company went out of business, so nobody was smart enough to step in and fill that segment of the market. I have been looking for the same chair! I want my old one back! Every thing is made like crap now???? From what I can see the whole comfort thing isn’t hard to find for a reasonable price. My issue with most of these types of chairs is getting out of the damn things! 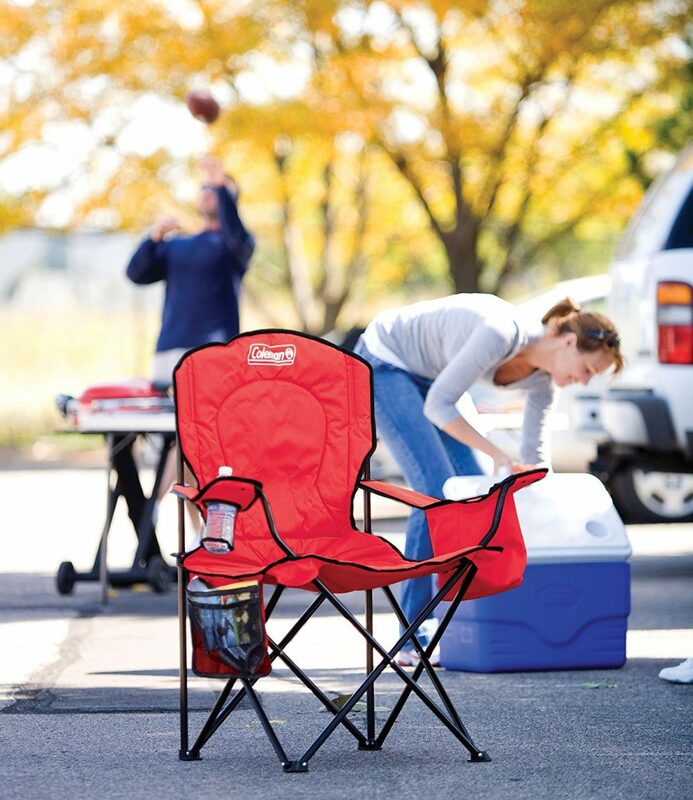 Strongback chairs, won’t use anything else until we find something more comfortable. My back instantly relaxes when I sit down in one. At a $100 bucks for something made in China is a ripoff. My back doesn’t care where it is made. You can call it a rip-off, I call it a treasure. I cant get out these arm-less chairs so i use an old aluminum folding chair with the nylon weave. It’s true, they wont fold as small but then again you don’t have to unpack them and there is plenty of room in the compartments to stow them. You missed Strongback chair. Not cheap but are very comfortable and helps support your back! Check’em out! The problem with these chairs is that you tend to slouch in them. My wife and I both have back problems that slouching only aggravates. We wish we could find good camp chairs for those of us with back problems and arthritis. STRONGBACK CHAIRS……Google them, they are expensive, but for those of us with temperamental backs, they are well worth every cent spent. We’re on our second set of them.